Inductive Automation has designated Miller-Eads Company as an Inductive Automation Premier Integrator. This is the highest level of integrator recognized by Inductive Automation. Miller-Eads is a system integrator providing a variety of specialized electrical services to diverse clients. The company has completed thousands of community projects of every size and scope. With a strong focus on emerging technologies, Miller-Eads is well positioned to meet the future demands of a changing electrical industry. Miller-Eads provides the expertise required to work on complex electrical systems. The company has also been at the forefront of process control, robotics, multiplex networks, and more. Miller-Eads has several engineers certified on Ignition. Inductive Automation looks forward to working more closely with Miller-Eads, which is becoming a more active member of the Ignition community. Inductive Automation has relationships with more than 1,500 integrators worldwide. 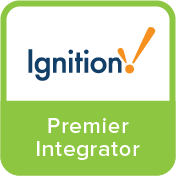 The company has deep roots within the integrator community. Inductive Automation President/CEO Steve Hechtman was a control system integrator for 25 years before he founded Inductive Automation. The company’s flexible and dynamic software, low-cost, unlimited licensing model, free tech support for registered integrators, and other benefits are helping integrators deliver a high-quality experience to their customers.